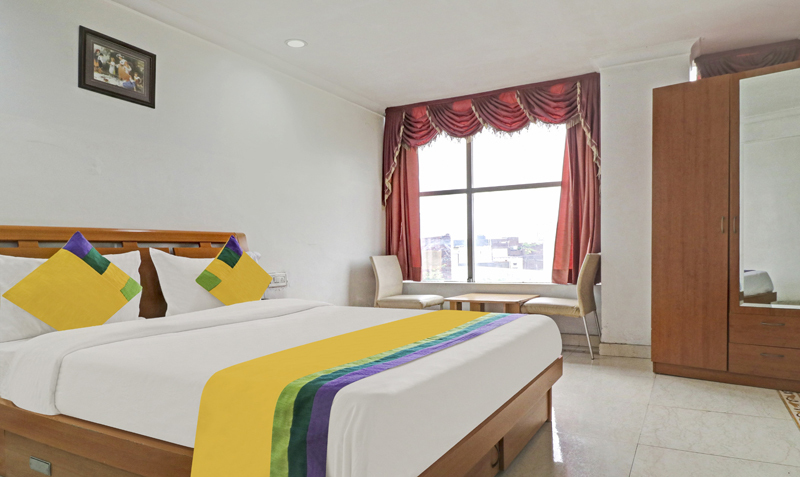 A centrally air condition luxury room with TV,Almirah, intercom facility and attached washroom with shower facility for two or three adults. Delux Room------------------22 X 11 Sq.Ft. Bath room size----------------7 X 7 Sq.Ft.